This ebook will help you to become more attractive to employers when applying for an academic job. It will show employers what you have to offer at the application, interview and salary negotiation stages. This ebook offers step-by-step advice and also provides exercises that will get you thinking about your career development and will show you how to improve your chances of landing that dream job. • The process of salary negotiation. 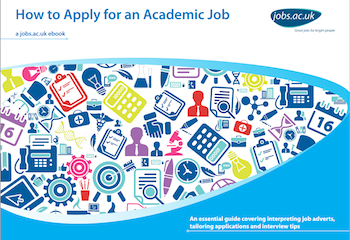 Download the How to Apply for an Academic Job ebook now!